Leonard G. Villari, born in Philadelphia, Pennsylvania, September 1, 1968. 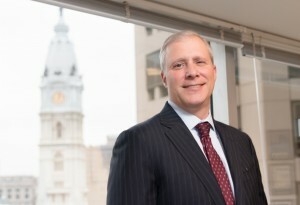 Admitted to bar: 1993, Pennsylvania, New Jersey, U.S. District Court, District of New Jersey, U.S. District Court, Eastern & Middle District of Pennsylvania, U.S. Court of Appeals, Third Circuit. Education: St. Joseph’s Preparatory High School (High School Diploma, 1986); Villanova University (B.A. Political Science, 1990); Temple University School of Law (J.D., 1993). Member: Philadelphia Bar Association, Philadelphia Trial Lawyers Association, Pennsylvania Trial Lawyers Association. Honors: In 2001, Mr. Villari secured two of the largest medical malpractice verdicts in Pennsylvania (Top 50 list, as reported in the Legal Intelligencer and Pennsylvania Law Weekly, for the period August 1, 2000 to August 1, 2001). Mr. Villari has been named a “Super Lawyer” by Philadelphia Magazine for 2005 through 2017. Other Honors: Mr. Villari achieved the rank of Eagle Scout in the Boy Scouts of America. Practice Areas: Medical Malpractice; Product Liability; Premises Liability; Construction Accidents; and Automobile Negligence with an emphasis on handling litigation involving Catastrophic Injuries. Mr. Villari is proud to have been named a “Super Lawyer” by Philadelphia Magazine for the past thirteen years. The Super Lawyer selection process is based upon votes cast by other Pennsylvania attorneys. Only the top 5% of vote recipients are selected.